Take a look at the recipes for luscious oily homemade hair mask that can save your tresses, feed and nourish them the healthy way! Every morning when you wake up, there is a horrifying sight on your pillow case- clumps of hair. This is not exactly the sight we want to see, the first thing we open our eyes. Keeping that in mind, we would like to help you arrest the hair fall. Now there are many reasons as to why our hair strands give up and break away- poor diet, lack of sleep, sensitive scalp, itchy and dry scalp, malnourished scalp and hair, and more- let’s get to the problems once and for all, and stop this massacre, shall we? Instead of looking for solutions over-the-counter, we shall take a look at the kitchen for an answer. Here are five oily homemade hair masks you need to try this winter, straight from the kitchen. 1. Treating oily hair with an oily hair mask- fire kills fire: Yes, just because you have oily hair, it doesn’t mean you are safe from the winter sabotage. Oily hair needs care too, and you can use this homemade hair mask to help do away with build-up, hair fall and sensitive scalp issues too. For this hair mask you would need, a quart cup of Apple Cider Vinegar, a cup of lemon juice and a tablespoon of coconut oil and honey, each. Mix the ingredients with your fingers in a bowl and apply the same from root to tip, covering every strand. Dip a towel in warm water and squeeze it out- wrap it around your head as a turban. Let the turban sit on your head for ten minutes. Remove the turban and wash off hair with a mild conditioner first, and then a mild shampoo later. Do this thrice a week to help maintain the pH level of the scalp and hair, to stop hair fall and to bring about a bounce to your hair too. 2. Making hair growth possible and in the easiest way: Winter is a time when we find most of our hair strands breaking away and falling, so here is a recipe for anti hair loss, which is easy to make. We shall beat two eggs into a froth, which would bring in plenty of Sulphur and proteins for the hair to grow fast and thick, long too. And into this mix we shall add two tablespoons of coconut oil. Frisk the mix with a whisker for a couple of seconds, and apply from root to tip- cover each strand. Wait for half an hour and then wash off under cold water. To ward off the unpleasant smell of eggs from the hair, the final rinse shall be with that of a cup of rose water. Do this thrice a week. 3. Beauty treatment for dry and damaged hair: Hair care in winter and any time of the year is a must, especially if the hair is brittle, dry and damaged. For this recipe you would need, a cup of mashed avocado, since it has natural oils good for the skin and the hair, and helps condition the hair. A tablespoon of honey, which would help with deep conditioning and hydration of the hair, and three tablespoons of coconut oil, which would also hydrate and protect the hair from the harmful UV rays of the sun. In a blender, you would need to mix all three ingredients very well and form into a semi-liquid paste. Now apply the paste on your hair- root to tip. Wait for half an hour and then wash off under warm water. Do this thrice a week, and we guarantee by the end of the month you wouldn’t be able to keep your hands off your hair. 4. Complete hydration and deep hair conditioning masks: If you suffer from dry and sensitive scalp, itchy flaky scalp or plenty of dandruff, your hair screams for attention and conditioning. What you need here is a cup of honey and half a cup of oil to begin with. Warm the oil for a couple of seconds and leave aside. When the oil is lukewarm, pour into it some of the honey from the cup. Mix the two and gently apply it all over your hair- root to tip. Apply and wait for half an hour or until the hair turns stiff. Wash off under warm water and thereafter tie your hair soft and gentle into a turban using a clean towel for the moisture to lock and soak into the scalp. Do this four times a week or everyday if possible. Love your hair thereafter. 5. An overnight long lasting formula: Usually we tend to be very wary of the overnight regimes, but this one is a regime that really works. For this hair mask, you would need a cup of warm olive oil, that’s it. You may add a few drops of lemon juice, only if you suffer from dandruff issues– or else, the olive oil is enough. 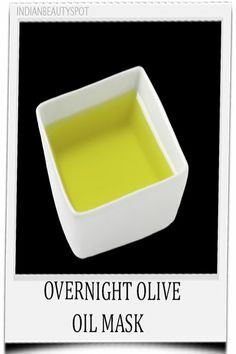 Warm the olive oil and massage it into the scalp, the hair strands and the temple lines. Wait for half an hour, during which you should indulge in a hot turban therapy. Allow the follicles to be well-fed in this half an hour, and then wash off under warm water. Do this thrice a week or four times- pat dry and let the hair bounce thereafter. Take care of your crowning glory, and allow these oily homemade hair masks work like magic- so much so you may never want to look at conventional products anymore!